There’s a key scene that takes place in the Rosedale Cemetery in “Manchester by the Sea,” the new, acclaimed film starring Casey Affleck. When The Cabot in Beverly hosted a private screening in mid-November, the theater’s executive director, Casey Soward, received a text message from the set designer who lives across the street and who’d created the styrofoam tombstone used in the scene. They considered bringing the dummy headstone to the screening but ultimately thought better of it. “Manchester By the Sea,” written and directed by the playwright and Hollywood filmmaker Kenneth Lonergan (“You Can Count on Me”), is a little too intense for prop jokes. The latest in a long line of films that showcase locations across Cape Ann and the North Shore — from “The Perfect Storm” (2000) to the upcoming “Chappaquiddick” – has plenty of local residents feeling good about the place they live. Audience members at The Cabot screening were delighted to spot scenes filmed along local coves and fish piers, in bars such as Pratty’s in Gloucester and Fibber McGee’s in Beverly, and on the ice inside Talbot Rink in Gloucester. 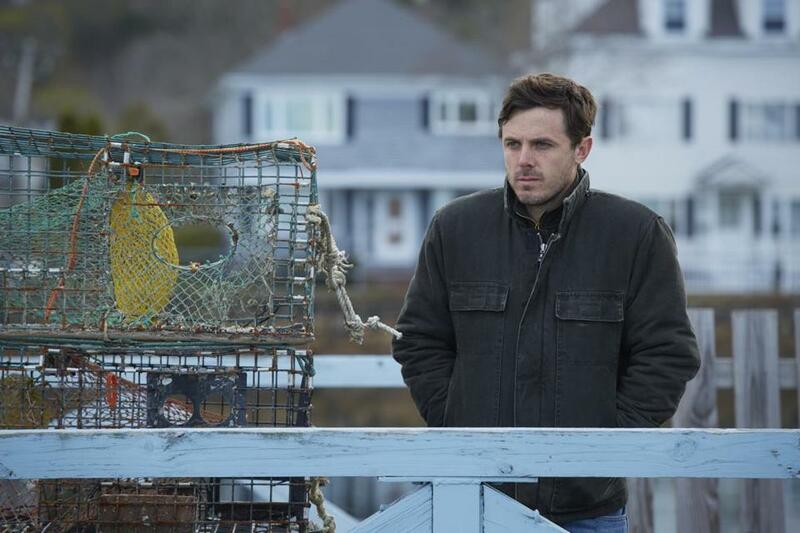 We could tell you how beautiful and moving and true-to-New England “Manchester by the Sea” is, but we don’t want to ruin it. “Manchester By the Sea” was filmed in Beverly, Essex, Gloucester, Lynn, Manchester-by-the-Sea, Middleton, and Tewksbury in 2015. The movie, which won best film of 2016 from the National Board of Review, is being heralded as a top candidate for Academy Awards. 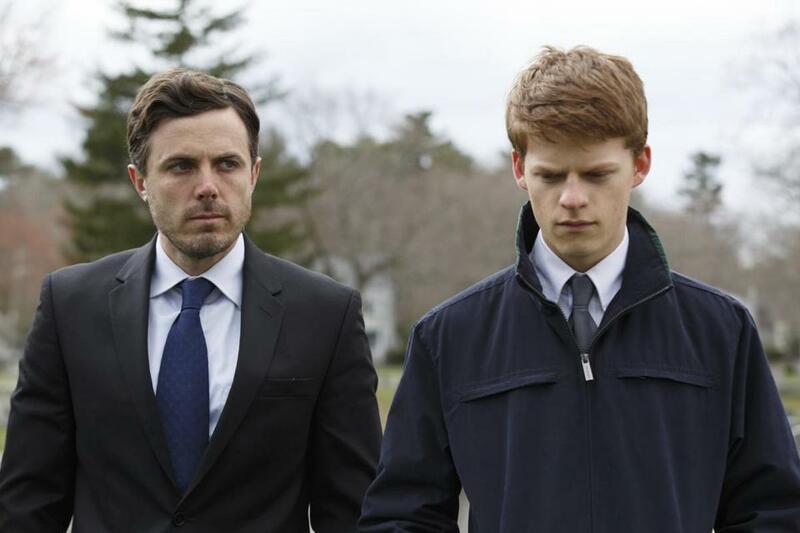 Casey Affleck (left) and Lucas Hedges appear in a scene shot at Manchester-by-the-Sea’s Rosedale Cemetery. David Gelineau, the purchasing agent for Beverly who has become the city’s unofficial liaison to visiting film crews, said he was impressed by the ways the filmmakers seamlessly edited shots to create the settings they wanted – making it appear, for example, that downtown Beverly’s Grondin Funeral Home is located on the waterfront. “It’s neat how they put the scenes together,” he said. Following the success of such townie classics as “Mystic River,” “The Departed,” and “Black Mass” and the implentation of the state tax credit in 2005, Massachusetts — and the North Shore/Cape Ann in particular — has experienced a boom of feature productions. While the tax credit has been debated of late (Governor Charlie Baker, for one, is not a fan), local film industry professionals keep getting work. For Beverly Police Captain Tim Hegarty, the long day he spent with several of his men working as extras on the set of “Manchester By the Sea” was a nice distraction from his usual duties. “It’s a little better than standing outside all day at a road job,” he said with a laugh. In Hegarty’s scene, he was required to restrain actor Kyle Chandler when Affleck’s troubled character, Lee, reaches for an officer’s gun. The scene was partially reworked after Hegarty instinctively moved to block Chandler during an early take, he said. “I don’t want to say I ad-libbed,” he said, but he does admit it’s nice to know he influenced the scene in some way. Total time onscreen: “about two seconds,” he reported. Still, he’s proud of the moment, and of his region’s role in the making of the film. “We have our tuxes ready for the Oscar party,” Hegarty said with another laugh. 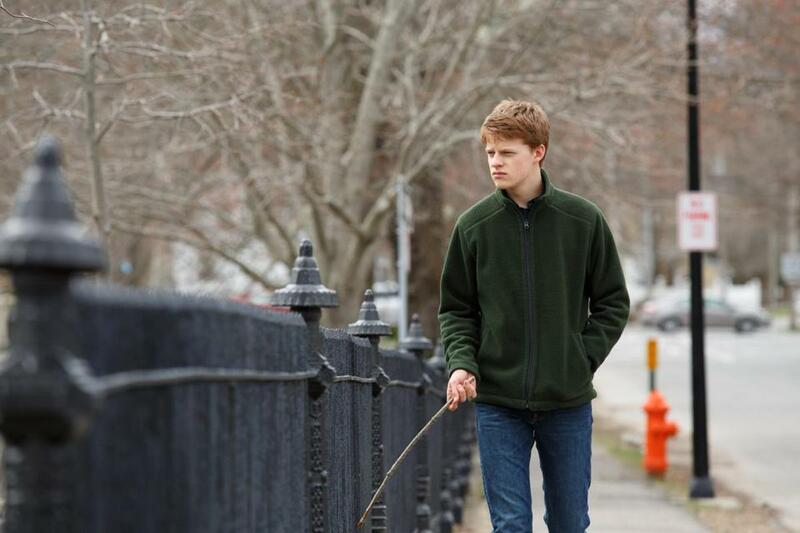 Do you recognize where Lucas Hedges was walking when this shot was taken?